If you are citing a work written in a non-Latin script (e.g., Chinese, Greek, Japanese, Russian), the reference must be transliterated into the English alphabet. See "Apples to תפ׀חים" for more on this topic. 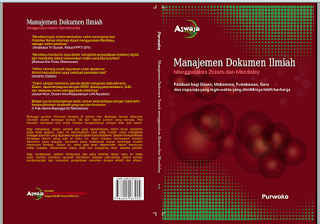 kutipan di atas saya ambil dari blog APA styles, http://blog.apastyle.org/apastyle/2012/12/citing-translated-works-in-apa-style.html. For my paper, I’m using several sources that I read in foreign languages. Some of my other sources were originally written in foreign languages, but I read them in an English translation. How should I cite these works? For foreign or translated works, a reference follows the basic APA Style templates, but you may need to add some additional information to get your reader to the source you used. the child]. Paris, France: Presses Universitaires de France. Here’s another example, from a German journal. Again, brackets contain an English translation of the work’s title (the article, not the journal). You may have noticed that the capitalization of the article’s title is a bit unusual. That’s because in German, nouns are always capitalized. Since the capitalization carries grammatical weight (much like the capitalization of proper nouns in English), it’s preserved in the reference list. Example:鷲田清一. (2007) 京都の平熱 : 哲学者の都市案内. 東京: 講談社.